September | 2012 | Bobcats Blog! Ben-Hem is looking for 3 new parent representatives for our school council. This is a great way to get involved and support the success of our school. The school council is a representative group of parents and teachers who work collaboratively to provide me with information regarding the school budget, school improvement plan, school handbook, ongoing school initiative and concerns, etc. The school council meets monthly on the first Tuesday. Meetings are held from 5:30 – 6:30 so that members may also attend our monthly PTO meetings. Beyond meetings times, school council members can expect to participate in voluntary subcommittee work and to read relevant documents in preparation for meetings. School council representatives are elected positions with a term of two years. If you are interested in a seat, please contact our PTO presidents Kathy Wick and Sara Dalicandro for more information. As of Tuesday September 4th, morning arrival will move to our normal operating procedure. Students will arrive via bus, the drop off line, or foot and proceed directly to their grade level wings. We will have plenty of staff on hand to make sure everyone knows where to go! 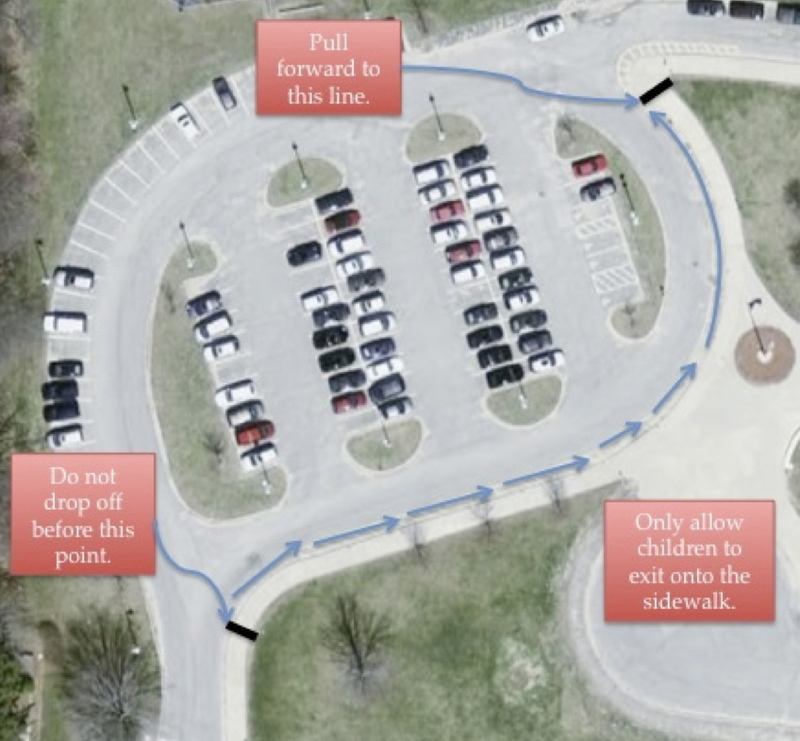 If you plan on using the drop off line, please review the map to the right for driving directions and check the Arrival/Dismissal page on our website for more detailed information on using the live drop off line.